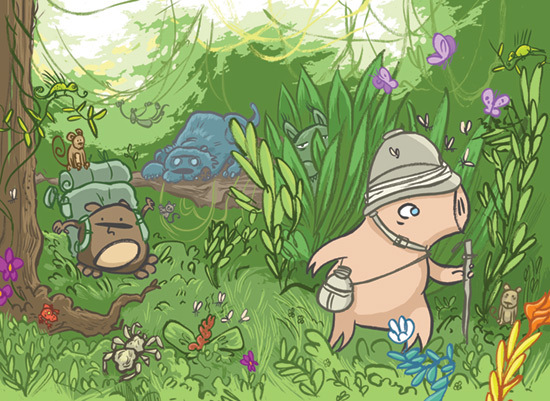 Pigsticks and Harold face the jungle! I’m working flat out on Pigsticks and Harold, and this spread has taken the best part of a day to colour, but I think it was worth it. 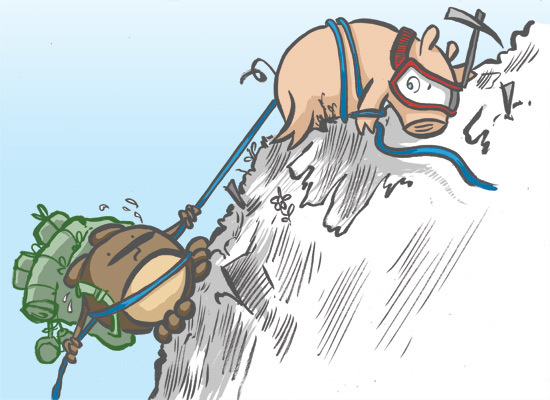 Pigsticks and Harold go Rockclimbing! 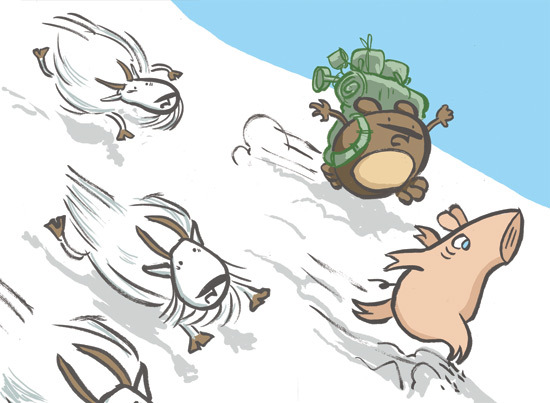 Because, you know, Pigs and Hamsters like to climb mountains! There will be goats. There will be an avalanche. There will be plenty of cake. 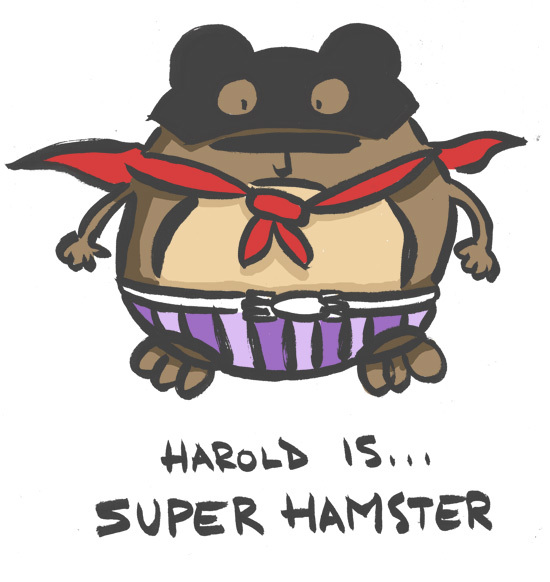 I’m doing some samples of Pigsticks and Harold as a comic. It’s very much in keeping with the original stories (in words!) 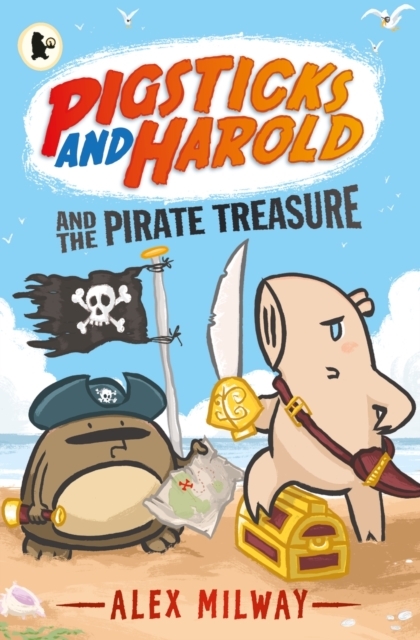 that I created about my headstrong Pig and willing Hamster – I guess they were quite script-based, so suit comics well. 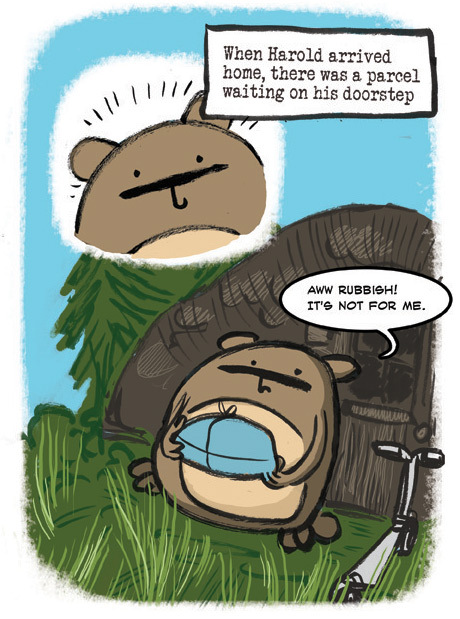 Here’s one of the pages of Harold finding a parcel on his doorstep. Stories always take a variety of shapes and form before they settle, so it’ll be interesting to see where this path leads.